to make sales soar for whatever you're promoting. Please Visit my Storytelling Blog on BlogSpot. Feel free to Subscribe. Inspired? Check it out and sign up for a FREE bi-weekly email that will automatically post for you. Just click on my blog site: gr5mom2.wordpress.com and you are welcome to view all information. He was the product of illegitimacy, son of a noble house with no claim to its title or riches. For John Murray, the only hope of a decent life was his career as a British Officer. I am writing my second book and I am very excited!!! The title and story idea was born out of a tragedy for me, but, I believe it will touch a lot of lives and possibly help heal some broken spirits. My current publisher, Publish America is considering publishing it. Good News!!! Vista Designworks will be holding a drawing for a custom book cover design for any self published author. Winner will be selected 4/17/09. In order to be considered, please send an email to contest[at]vistanow.net containing book theme, description, trim size and page count. If you’d like to get a free quote about marketing your work, Self Publishing: Book cover design and page layout, contact Vista Designworks. Excerpt of SUBURBAN WEIRD BY J. R. LaGreca, Fiction with Intrigue! Learn how to improve your position in Amazon's search results, in the January issue of The Savvy Book Marketer newsletter at http://snipr.com/savvyjan09. If you are like most independent contractors you spend your days and nights distressing about how you will gain customers and grow sales. Even if your company does not have a formal marketing or business plan yet, there are many cost-efficient things you can do to market and promote your company's products and services. Excerpt Of AFTERNOON TEA by J. R. LaGreca, Historical Fiction/Mystery, Fiction With Flair! gnarled form veered alongside the cathedral to the Saint James Cemetery. The post below came from ConnectingBlack.com. For those that don’t know….ConnectingBlack.com was one of the first Black owned and operated social networks. Before MySpace, FaceBook, and the thousands that followed. This week’s “Business Question Of The Week” comes from Jasmine Johnson, Los Angeles, CA. Question - Many times people have to take a job because they have families to support or bills to pay. When they finally make the decision to follow their passion, but still have to keep their job to pay the bills, how should they go about this process? Ever wonder why your desires to self-publishing your book come up short of creating the "success" you desire??? I have completed the introductory chapter to my non-fiction book project: "The Independent Author, a non-traditional approach to self-publishing." This book will help you understand the approach to independent book publishing and offer the procedural how-to steps critical to creating that success on a daily basis. I have just been informed that my poem "What to Pray For" was selected for the 2008 Pirene's Fountain Editor's Award. I'm honored. If you have a football- or Superbowl-related book, you might want to use this free football clip art in any last-minute promotions before the SuperBowl this Sunday. 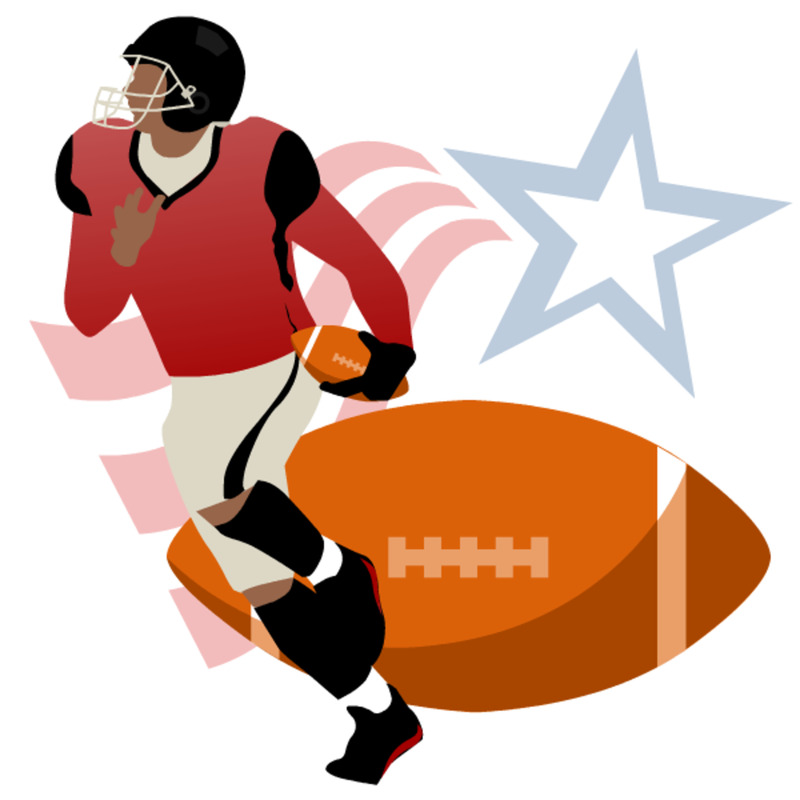 And since the SuperBowl is the quintessential American game, you might also like this free American flag clip art. Here you now see the first three books in the JGDS (Junior Geography Detective Squad) 50 States Mystery Trivia Series. Pantser, Plotter. Layerer, or Puzzler?